The Flying Tigers logo is both a clever visual metaphor and classic automobile-aircraft style emblem executed in a style harkening back to the glory days of the team's namesake. It pays appropriate tribute to the team's historic military ties, acts as an apt mascot for a competitive athletic team and hints at its affiliation with the MLB's Detroit Tigers. Well balanced aesthetically, apt colors and appropriate baseball-style typography. The Mud Hens logo employs classic baseball typography and colors to evoke the romantic feel of the sport's American heritage characterized by the memories of yesteryear's happy summers and simpler times. The polished, family friendly illustration is set inside a visually pleasing symmetry and cleverly framed by an egg shape. Cadillac successfully evokes quality and class with a logo combining a strong, sterling shield with regal banners evocative of medieval splendor and conquest set inside a greek-style wreath symbolic of greatness. DreamWorks Pictures' powerfully evocative illustration of a boy fishing from a crescent moon is a fantastical personification of movie magic and a compliment to the company's richly expressive name. Expedia's original founding logo evoked the romanticism of the golden age of air travel when the journey was as important as the destination. The name itself, derived from the term, 'expedition', is a clever expression of the same style, anchored in Helvetica's typography which portrays the idea of an industry mainstay. Mimicking the iconic desert rock formations of its geography, Utah's tourism logo evokes an exotic, adventurous feel which is more explicitly expressed in its"Life Elevated" tag line. The dusty orange hue compliments the brand's message of adventure while the word mark strategy plays to the strength of the name by preventing competing elements from diluting it. Although Ebay's name (an abbreviated form of Echo Bay) is cryptic, sustained publicity has turned what is typically a liability into a valuable asset. Its four letter, two syllable name, along with variable character dimensions, bright primary colors and simple typeface combine to create a fun, friendly, approachable logo echoing the feel it aims for in its user experience. An early dot-com era online retailer, Petopia.com's logo was a clever word mark whose initial letter doubled as a parakeet to represent its pet supply focus while infusing personality and complimenting its fun, casual typeface to mirror the pet ownership experience. Reflecting the sport's long history and revered tradition, Nike Golf's restrained logo forms an emblem by setting its iconic swish above crossed golf clubs inside a simple shield. The san serif uppercase typography with its extra spacing adds a sophistication befitting both its corporate and high class association. Showcasing a stylized kangaroo against the backdrop of the iconic outback sun in earthy hues, Australia's tourism logo draws upon the emotive imagery of the outback desert experience. Even at the risk of pigeonholing the Australian brand by using these elements, it effectively elevates them as a symbol not of a specific Australian experience, but as a symbol of the uniqueness of the entire Australian experience. Amazon's iconic logo expresses friendly simplicity with its famous yellow smile cleverly doubling as an arrow pointing from A to Z (as in, Amazon sells everything from A to Z), while the warm yellow color offsets the strength and confidence of its black text. Showing careful attention to detail, the '.com' is de-emphasized with a thinner version of the font and even the edge of the 'a' lines up with the start of the smile on the left while the contour of the 'z' is shaped by the smile's corner on the right. Creatively drawing from the city's namesake, the Phoenix Suns logo employs a striking interpretation of the mythological bird and an abbreviation (PHX) which appeals to the hip United States basketball subculture. Not only are the illustration, symmetry and color palette visually pleasing, among its staid, traditional basketball peers it is a truly unique mark. 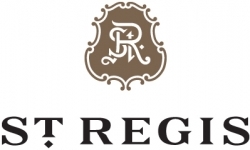 Punctuated by an elegant monogram crest set in a golden brown hue, the St. Regis Hotel logo exudes sophistication and tradition befitting its luxury experience. Complimenting the style of the icon, the name uses strong, uppercase serif typography and a cleverly constructed "Saint" abbreviation reminiscent of European style so often associated with heritage and class. Evoking the history of the enterprise, the Walt Disney Animation Studios logo employs a classic vintage sketch of its preeminent character set in the faded hues associated with its early work. By adopting a classic hand-drawn feel and giving equal prominence to the iconic Walt Disney signature and Mickey Mouse illustration, the company is able to depict an authentic, quality feel associated with its early story telling.